These days people want quick results. They want to speed up their computer internet connection. They want their smart phones to work smarter and faster, they want crops to grow faster and taller. Everyone is in a hurry. Krav Maga was designed to be learned quickly. Unlike other martial arts it is simple and adaptable for most people. So when some people walk in the door and ask, How long will it take until I can defend myself?" they really expect an answer. They want to hear three weeks, or three months. And yet, I have no answer for them. In the movie Mulan the wise father sees that his daughter, Mulan, is frustrated. She is not progressing "according to schedule". She is not as graceful as other young women her age and her strict and narrow minded teachers are upset and frustrated with her. Stricter discipline is their answer, less freedom, more control of the "problem child". But the wise father calmly tells her, "each flower blossoms at its own time" and indeed when Mulan does blossom she becomes a great hero and leads her nation to victory and freedom. Had she been forced into the role assigned her....her people would have lost out on a great woman. Again, this blog was inspired by words from Mike Huckabee. He writes in "God, Guns, Grits and Gravy" (Page 97) "Kids' don't necessarily develop according to a timetable." The message is don't push kids, or anyone, too much. Each one of us needs our time to grow, at our own pace. And he who is first now may be last later. When a student comes to Krav Maga there is no way to tell how long he will last and what he will achieve. Sometimes the slow beginner will become your start student later on. Sometimes the one who has difficult understanding will become a great instructor. Our talents take time to show. Don't count any of us out so quickly. Give us time. I do not hover over each student and correct every mistake. No, sometimes I allow the mistake, for a while. Later on a gentle nudge or hint may be useful, or a "How about try it like this?". I am not a drill sergeant. (and yes there are those who use this to point out that I am not a "real Krav Maga instructor". I feel sad for such ignorant brutes. I know that kids need to make their own mistakes. As long as it does not cost them their lives, or serious injuries, it is a great learning experience. We can't be overprotective. Making mistakes, taking risks, will help a child grow up and will help a Krav Maga student find his own way. Each of us has our own rhythm. By correcting every little move you make I would be crushing your spirit. I need to give you room to grow, and guess what? perhaps you will discover something that I missed. Some of our greatest innovations came from questions and suggestions from beginners. "From the mouths of babes". We each have our own timetable. I have been teaching for decades, I have seen thousands of students all over the world, both my parents and two of my grandparents were teachers, I know a thing or two about teaching. There is no timetable, each of progress at our own pace. Let yourself grow and you will be amazed with the results, we all will be amazed. Many of the great inventions of our time came from individuals who did not meet their expected timetables. Be kind to yourself. 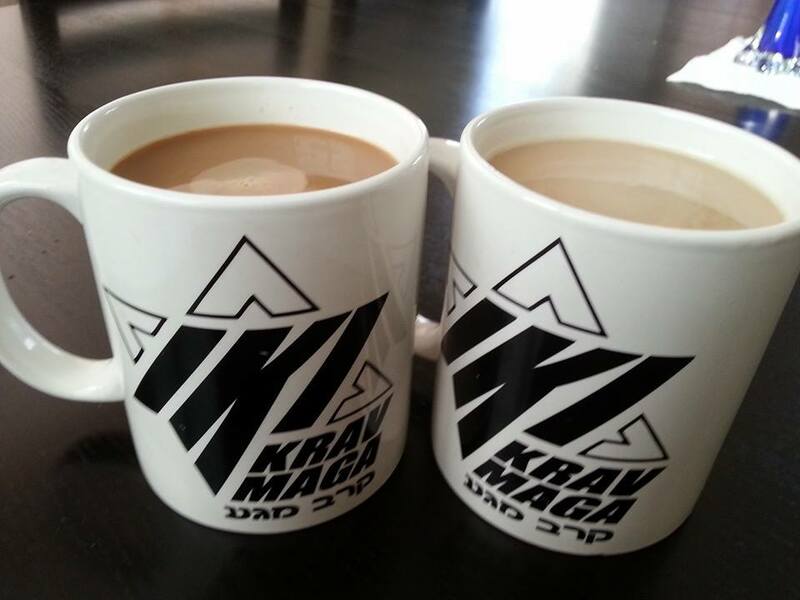 With our on line distance training program you can learn Krav Maga directly from Israel and progress at your own pace. Send in videos for review and for rank testing, ask questions. Set your own pace. Note: This is a subscription which renews automatically at a lower rate for each year. Second year $260, Third year and onward $190. You are free to cancel at the end of each year. $410 includes shipping and packaging.